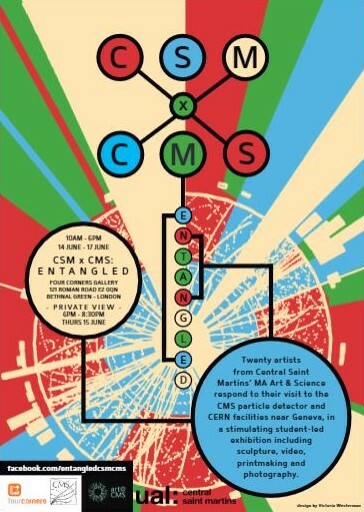 Following two fantastic trips to Geneva hosted by CERN’s art@CMS programme, we are going to be exhibiting CERN-inspired work June 14-17 at Four Corners Gallery in Bethnal Green, London. It will be an exciting exhibition showcasing really diverse work and interests–including my piece referring to PET scan development as a part of CERN’s technology and knowledge transfer mission. Send me an email to come along to the private view June 15!